Today BMW announced the 2015 X6, which will begin the second generation for the Sports Activity Coupe, a term coined by the German car manufacturer. The new X6 will continue to use BMW&apos;s xDrive, the intelligent all-wheel drive system, and will also add the model&apos;s first rear-wheel drive option in the X6 sDrive35i. The sDrive35i will feature a 300-horsepower TwinPower Turbo inline-six, while the xDrive35i and xDrive50i get the boosted 445-horsepower TwinPower Turbo 4.4-liter V8. That&apos;s a big leap from last year&apos;s xDrive35i, which only boasted 300 horsepower on a 3.0-liter inline-six. Design-wise we don&apos;t see as drastic of a change, but the edges are cut much sharper than before. 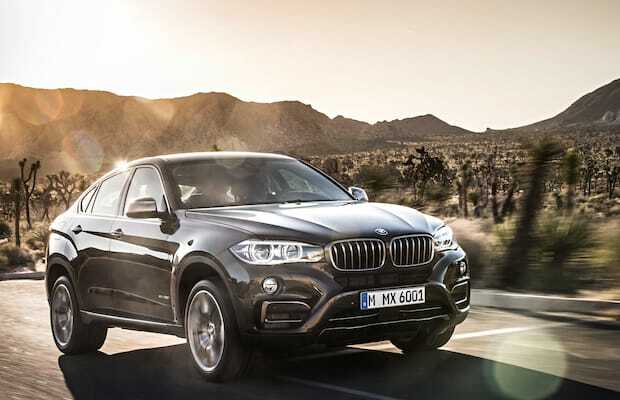 The new appearance, along with the increased performance, show BMW wants the X6 to be more aggressive going forward. No word yet on the price, but BMW promises to have the new X6 out late this year.